Thanks to the generous support of Channel 7 and the GWS GIANTS, you can win just by supporting the Building Love Campaign! As 2018 approaches, we are closer than ever to our Building Love fundraising goal, with less than $2 million remaining before we can open the doors to the new, expanded Ronald McDonald House Westmead. 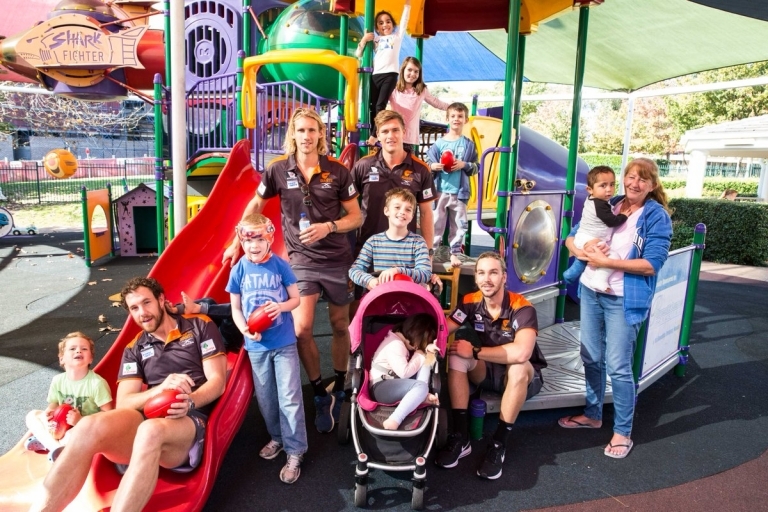 To help us get one step closer to the finish line, Channel 7 and the GIANTS have joined forces to host a Facebook Live-a-thon at the GWS GIANTS' home game on Saturday, 19 August, at Spotless Stadium. With activities and challenges running throughout the afternoon, our Ambassadors and stars from Channel 7 will be encouraging donations, and everyone who donates via SMS is eligible to win one of three fantastic prizes! HOW TO DONATE: Simply text the word LOVE to 0439 222 777 to support seriously ill children and their families. First prize is a family pass to the game on 19 August, premium corporate hospitality seating for up to 6 people, a GIANTS merchandise pack, and a chance to form a guard of honour on match day and take part in a junior mascot experience. Second prize includes a 2018 GIANTS three-game family membership, family pass to the 19 August home game with premium corporate hospitality seating for up to 6 people, and a GIANTS merchandise pack. Third prize includes a family pass to the game with premium corporate hospitality season for up to 6 people, a GIANTS merchandise pack, and a guard of honour match day experience. Click through to download and view the full terms and conditions.